Jess Ryan (third from left) and Ashleigh Lee (right) with our students. 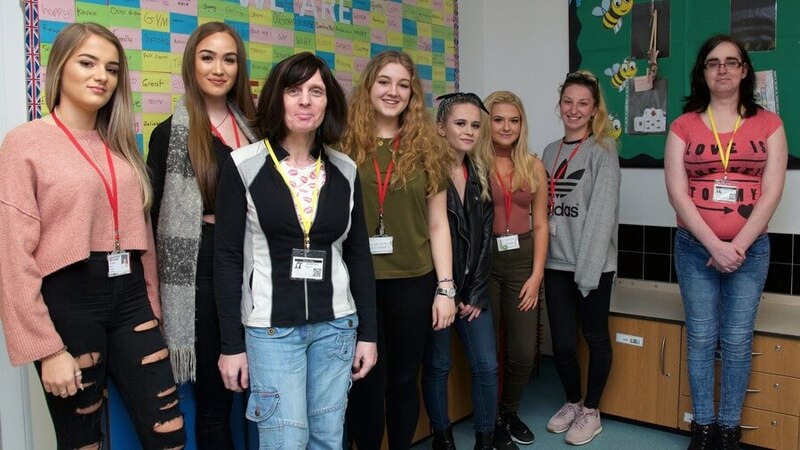 Our Childcare and Education students have increased their knowledge of the transgender community by hearing the accounts of two guest speakers. Ashleigh Lee and Jess Ryan, both of Halifax, visited us to share their experiences of undergoing gender reassignment. The pair explained the journey that they have undertaken and answered questions from the students about their lives and the issues they have faced. Student Tegan Francis, 16, of Tudor Street, Goldthorpe, said: “The visit allowed me to learn exactly what being transgender means. Ashleigh and Jess told us about the gender reassignment process and the impact on them.